Why you should buy our training course? No Need to Spend thousands of Dollars on Medical Device Sales Colleges. 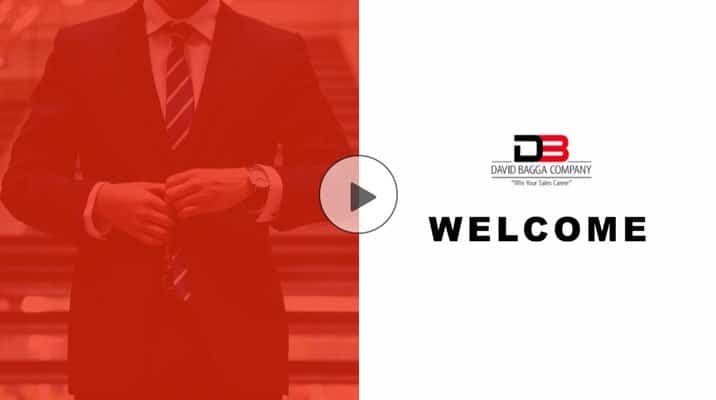 David Bagga, a leading Sales Recruiter and Coach will teach you how to create a power resume, how to ace your interview with confidence, and how to secure a top medical device sales job. Empower Your sales Career with a Winning Strategy. Get an In depth understanding of the Medical Device Industry and the Opportunities. Develop a clear Sales Career Vision and Goals. Build a powerful Profile that will earn you a rewarding B2B Sales Career. Increase your chances of Landing a Top Medical Device Sales Job. Embed Your Personal Blueprint as a Professional Sales Person in the Industry. Medical Device Sales Career Welcome. Medical Device Industry Introduction, The big picture view and Overview. Why a Medical Device Sales Career and Introduction. Building Your Profile Right Path & Profile of Medical Sales Rep, B2B Sales Training, Type A Hunter Mentality and Job Stability. Building Your Brand Introduction, Working with Med Device Recruiters, Blogs – Knowledge base and Medical Device Conferences. Building Your Resume – VIP Pass Introduction, Resume Part 1, 2 and 3. The Interview Process Introduction, Phone Interview, Personality Test, Face To Face Interview, Field Ride and Final Interview. Millennial Selling Introduction, Sales Efficiency, Care - Model, Attack Mindset. David is HANDS DOWN the best recruiter I have worked with during my career. David provided advice and encouragement for a B2B rep trying to break into the medical device industry. David is one of the best recruiters that I have had the pleasure to work with. I was at a crossroads in my professional career. David helped me upgrade my resume and was instrumental in getting me interviews at key medical device companies.